It frequently happens that the power cables connected to the PDUs in your racks are accidentally disconnected at a really bad moment. Therefore, you should consider using a SecureLock per device to avoid these unexpected incidents. As the proverb goes : “Prevention is better than cure”. Make sure no one disconnects your cables accidently ! Imagine your IT engineer goes to the data center to fix a problem. Then, he accidentally disconnects the server that hosts your directory service – wouldn’t that be annoying? 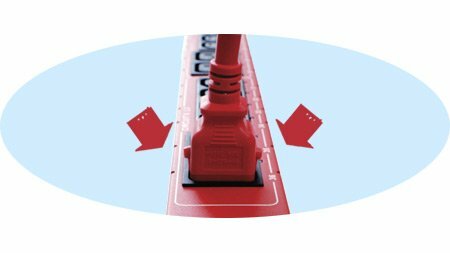 The integrated locking system in Raritan cables and intelligent PDU plugs eliminate any risk of accidental disconnection ! In conclusion, your applications don’t stop and your business activities are safe. Of course, it prevents your company to lose time with futilities and therefore to save money. 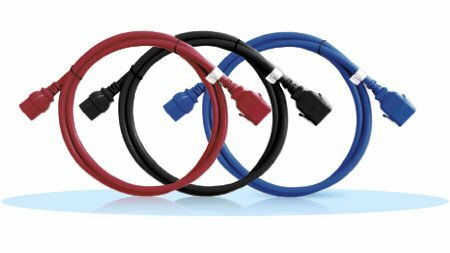 The SecureLock power cord cables come in 3 different colours (a red, a blue and a black version). Furthermore, in combination with the intelligent coloured PDUs, you can use these coloured cables in order to check quickly and easily whether all the machines are properly connected or not. For example, you might use one blue and one red PDU with blue and red cables to power your machines. You can see at a glance that your equipment does indeed have one cable of each colour. You can connect the blue cables to the blue PDU and the red cables to the red one.